THE summer holidays are upon us, and the thought of entertaining the children for six long weeks is a daunting task for many parents. 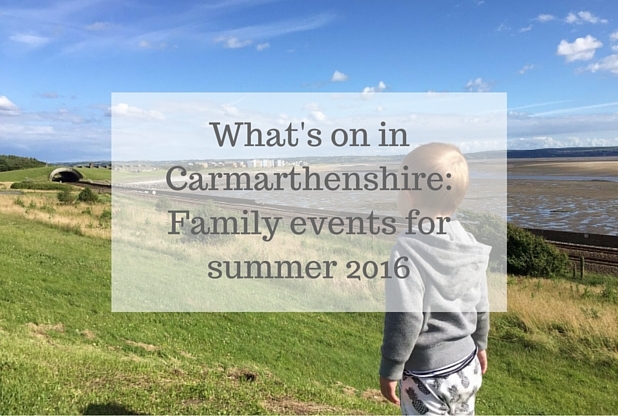 But there’s lots going on around Carmarthenshire to keep little ones busy whatever the weather. Pick up a passport when you visit and collect stickers along the way as you take part in special activities like pond dipping, minibeast hunts and flamingo watch to become a fully fledged Nature Explorer. Times for activities vary. Included in admission price, free for members. Jump aboard the canoe safari and spot a range of wonderful wildlife along the way (over fives only). Or get your helmets on and pedals at the ready to explore the wetlands on wheels. There are a range of bikes of varying sizes for adults and children available. 12 – 4pm. Last canoe and bike out at 4pm. Included in admission price, free for members. A weekend celebrating the centre’s fabulous flamingos! Face painting, flamingo bingo, snaps at a selfie station, flamingo watch and crafts. Times of activities vary. Included in admission price, free for members. Little Swiss kitten Pitschi is not happy, she would rather be a chicken, a goat, a rabbit, a duck… for after all anything is better than being a cat! A show for young children, full of good humour, music, song and adventure. A free screening of the much-loved BFG. For all ages. Taking Flight theatre company, which works with physically disabled, sensory impaired and non-disabled professional actors to create accessible theatre and film projects, will present an outdoor production of Romeo and Juliet. No additional charge to the garden entry fee. Learn how to make and experiment with light and shadow puppets, and create and develop story characters with The Crowman. Youngsters will be encouraged to draw and cut bold puppet shapes from card, before going behind the screen to present their own puppet characters. Join Ffranki and special friends for a summer party with a disco, photo booth, storytelling, magic show, face painting and meet and greet characters. Dress up as your favourite character. Join Marty, Sally the Scarecrow, Pongo the Pig, Molly-Moo the Cow and Sheena the Sheep in a fun, musical, interactive adventure to repair the Toy Machine, save the day and give the world back its toys. Featuring the voices of CBeebies’ Justin Fletcher and Nicole Davis and songs such as The wheels on the bus and Old MacDonald. A free screening of Kung Fu Panda 3. Open to children of all ages. Gwili Railway is teaming up with West End Cafe in Carmarthen to run its Fish n’ Ale trains. As the Heritage Diesel Railcar, the Scenic Explorer makes its away through the Carmarthenshire countryside, passengers can enjoy fish (or sausage) and chips, delivered direct to their train seat. Alight at Lllwyfan Cerrig Station and enjoy the riverside picnic site or stay on board and hear stories about the railway past and present from volunteers and visitors. Adult fish and chips, £16.50. Adult sausage and chips, £14.50. Children’s fish or sausage and chips £8. Prices include train ticket. Book here to ensure your meals are ready for your train ride. A family fun day with racing and activities for youngsters. Entertainment includes a circus tent with a toy workshop, circus skills training, clown show, stilt walkers, giant boules and a puppet show. Gates open at 3.30pm with the first race at 5.30pm. Children’s VIP package available. Race times and booking here. The Parc Howard Association is hosting a fun day with plenty of activities for children. There will be a bouncy castle, rides, games, brass band, Zorbing, free dog training and crafts tables, as well as visits from Scarlets players, the fire brigade, RNLI and air ambulance. Refreshments will be available, and the event is in support of the Parc Howard Association. Live entertainment from musicians, choirs and bands, as well as minstrels and re-enactors in the medieval camp. Try your hand at archery and circus skills, and visit the apothecary to see their potions and leeches. Prizes for the best costumes. Refreshments are available, and picnics are welcome. Carmarthenshire Theatres are celebrating Roald Dahl’s centenary with a series of arty events for toddlers to tweens. Every session will have a planned art project, free style art and crafts giving children the freedom to create and use their imagination using lots of recycled materials. Tickets: £5.50 per child, additional siblings £4 each, children tickets include one free accompanying adult, additional adults £2 extra. Children attending all 6 weeks will also obtain a free ticket for the screening of Roald Dahl’s James & the Giant Peach on Saturday, September 10 at 1.30pm. Tuesday, August 30: Her Majesty’s Tea Party – For parents and children (1940s dress code optional) vintage tea experience with real china tea, coffee cakes and cucumber sandwiches, for the children squash and jam sandwiches. You will be taken back in time with music, art activities and fun games from the 1940s. Active storytime and crafts with an Olympic theme. Free for all ages. Burn off some energy with an Olympic themed circuit challenge at the library. The event runs all day and is free to attend. A free summer craft session for children of all ages. *Please note, events are subject to change. Contact venues in advance for confirmation that events are going ahead as planned.